What It Takes to Create a Piece of Content #infographic ~ Visualistan '+g+"
The best content marketing requires collaboration. But too much of it can cause gridlock and stifle creativity. At Contently, we've spent a lot of time refining the creative process to make sure brands produce high-quality stories that meet business objectives. 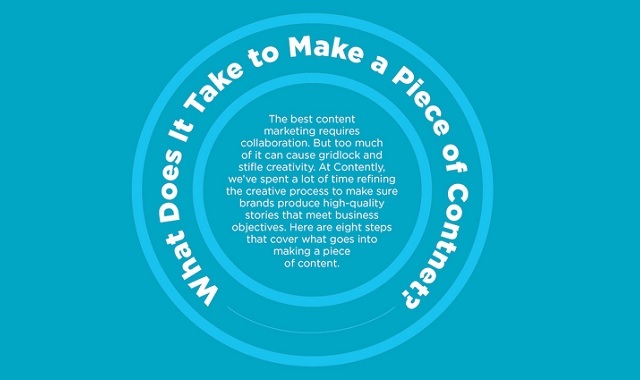 Here are eight steps that cover what goes into making a piece of content.